I sat on the West side. There were lots of empty seats around us. 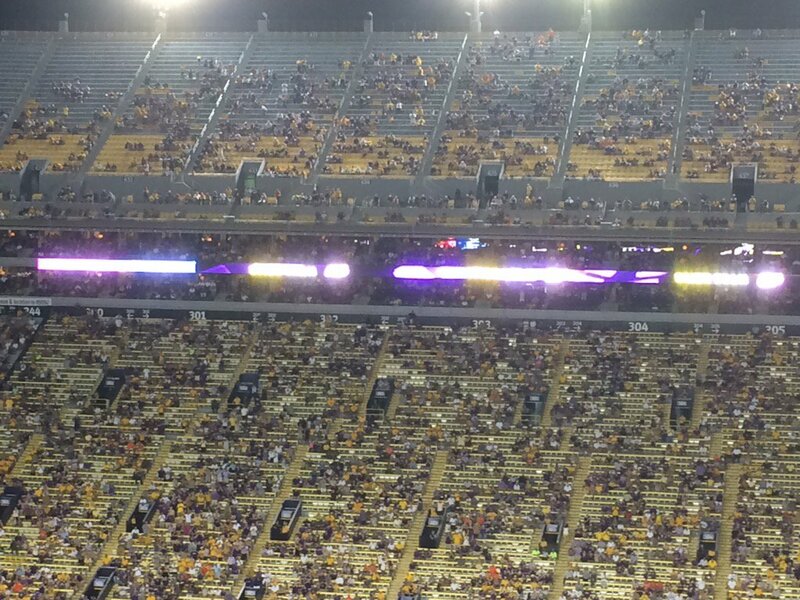 There were clearly lots of empty seats scattered in the SEZ. If you want to believe there were 65k people there, it's fine with me. I'm not going to argue it. But surely everyone will agree we've got attendance, and especially fan intensity, issues. It was a blase' atmosphere. It was an 11AM game, I don't remember a big crowd at one in years. You must be serious…I was going to ask the question WHERE WERE THE STUDENTS? Early, the shot of the east upper deck—south end sections—was empty. Then later, the lower level student section, near the band, was very thin. 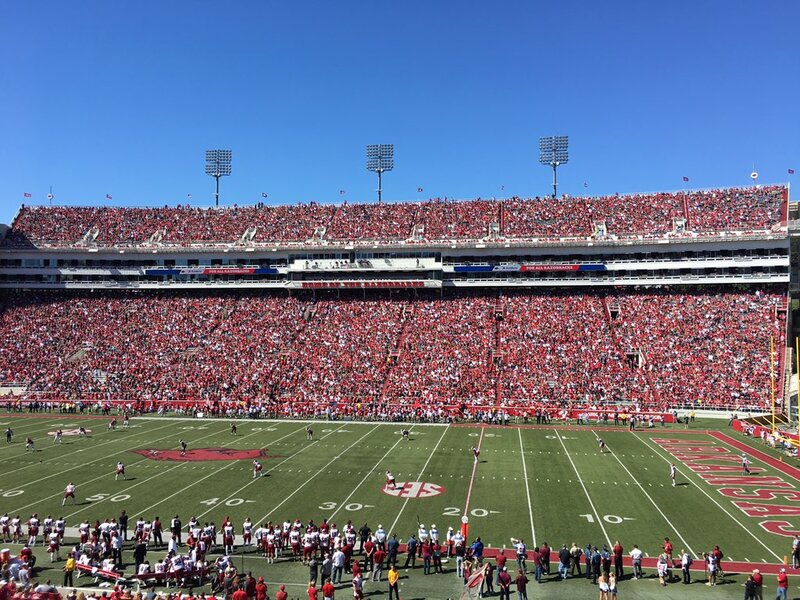 I kept thinking, it's a beautiful Fall day in northwest Arkansas and we have an opponent we can beat…what a nice afternoon to be in the stadium. Is this the "attention issue with kids these days" problem? That's very sad. They just couldn't pause their party fun for 3 hours, go to the game, then pick back up at 2:30? Stop it. Has nothing to do with the kids. Has everything to do with the product on the field. It's lazy to blame an entire generation of people for an attendance problem. Horsecrap. Your hate for NWA is getting old. This regional arguing is never going to help the Razorbacks be the best they can be. Arkansas needs the entire state to be behind the Hogs, not just northwest or central or northeast or south. Quit the regional bickering and support the Hogs! The stadium looked about a third empty on TV. Lost all faith in coach =/= give up on watching games. It’s entertainment, not a stamp of approval. I think the team is capable of winning 10 games, but the staff has screwed them. I was on the west side and our section was pretty crowded. I think 60,000 is probably a pretty good number. A lot left at half and more at the end of the third quarter. On TV, at start of 2nd Q, the upper decks were about 50% occupied. But once that endzone gets finished, the numbers will come up, I'm sure they just didn't have enough seats for everyone clamoring to get in. I really don't have a dog in the fight. From my view in the south end zone the 60-62K is very accurate. Wife was pissed they there were no corn dogs though. 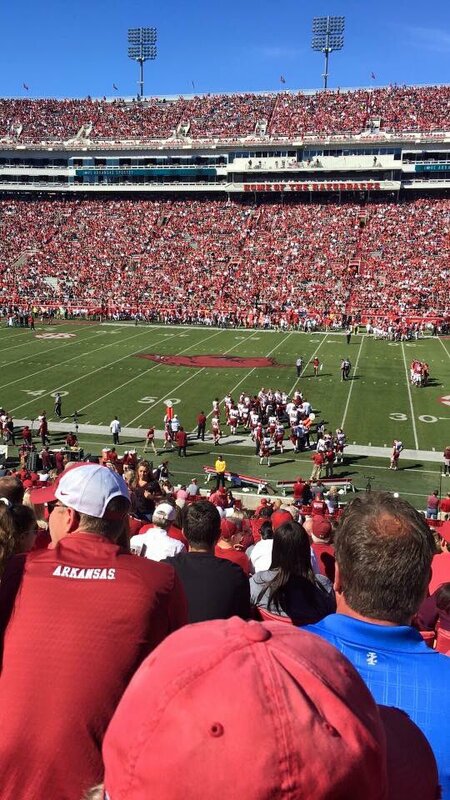 "Corn dogs Jackie Moon, corn dogs"
We couldn't fill the stadium against a decent team that we were highly favored to win, at home on a beautiful Saturday morning in NW Arkansas no less. We have an attendance problem. Hard to compare this crowd to the crowd at WMS on a Thursday night, during a thunderstorm against a rent-a-win. But, I would say it doesn't compare favorably. 2-1 or 3-0 Crowd would’ve been full but I guess I wouldn’t of been an 11 AM would it? I can't remember the last full 11AM G5 game. There was way more than the last one I remember, UAB in 2014. Lot of late shows. Stadium was about 2/3, at most, full at kickoff, but continued to fill throughout the first quarter with peak in the second quarter. Lot of people left at half and then continued to leave during the second half. Don’t know how many tickets were sold, but there was nowhere near 70k in attendance. 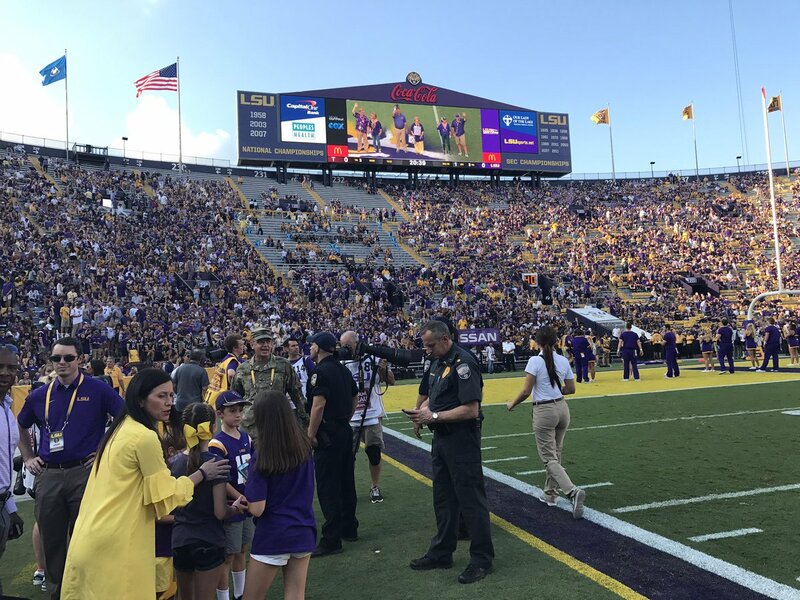 Someone started posting pics taken before the game to criticize attendance, but failed to post the actual game time pics. Even on TV it looked pretty good into 3rd quarter. Those three upper deck seats on the south end are student seats. The only other sparse section was the visitors section - 111. I didn't expect New Mexico State to travel well but our fans did a good job filling in that section. Rewatching the game now. Found other stuff to do. The emptiness of the stadium is pathetic but not surprised. I myself turned down 4 free tickets and a park pass. I'm shocked you think that lol. 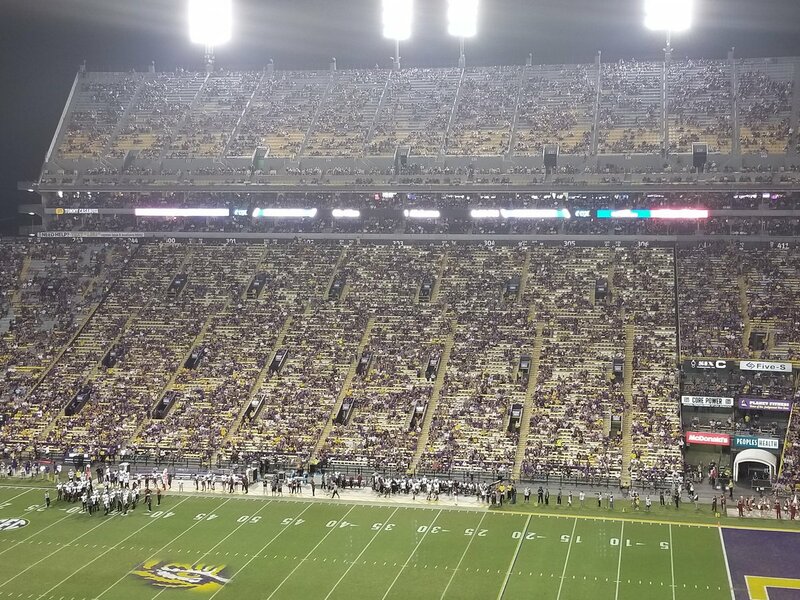 Fan in front of me turned to me and said "Jeff Long must have gotten on the phone" after it started filling up after kick off. Not sure how much it helped but it was family weekend and most all Fraternaties and sororities had dads weekend going. Yes, he did. He tweeted that there were free Krispy Kreme's. Drove up from the rock today for the game and sat in my usual seat. I only saw a few regulars around me. The rest were non season ticket holders. Good to see so,e young kids attend their first game. Yeah intensity in the crowd is definitely an issue. No real crowd involvement. I talked with one of the regulars behind me all through the 3rd about all the “areas of improvement”. The coaching staff is loosing support from the fan base more and more each game. It was good to see a win. It would be nice to get a PWR5 win though. Crowd was great. I was there. 60-65k sound right. Maybe more. South east upper deck student section and visitors section were the only thing spots. Great turnout. I was very pleased that the crowd showed up. Even if it was late. When the position groups came out to warm up, I had a recruit parent see my parent wrist band and ask me if the crowd was always this small. I told him the crowd usually ran late on Family Day. I’m glad everyone didn’t make a liar out of me. So we're to the point that we think the U of A is lying about attendance numbers? Lol pathetic. It's a conspiracy!! Only the weak/childish minded resort to conspiracy theories to prop up what they want to be true. That being said I was surprised at the crowd on tv. Looked good. Student support has been poor the last 5 years. Just don't show up and then leave early. The university has always inflated its attendance numbers...nothing new there. I'll say as well though I was shocked how many people actually did show up. A lot of families came in late because it was Parent’s Weekend on campus. A lot of families were there because there was a cheerleading performance by a few hundred high school kids. A lot of their families left after after halftime. I don’t doubt the numbers released, but the come early, stay for the entire game crowd want there. From mid first qtr on, crowd was pretty good. It. Was just up and down during the course of the game. Not too bad at all. Not as bad as the TCU game. My daughter and I were able to make it to the concessions and back pretty quickly. We only had to wait for a short time. It wasn't bad. So, it looks like everything is improving. Good news...! That was me and the photo was taken at 11:05 of the tv screen from my living room in Texas. And it was a live shot of the stadium at that time because I had to pause it on my DVR. Thank you for once again proving that Hog fans are delusional though. In Karma Nirvana for all time. 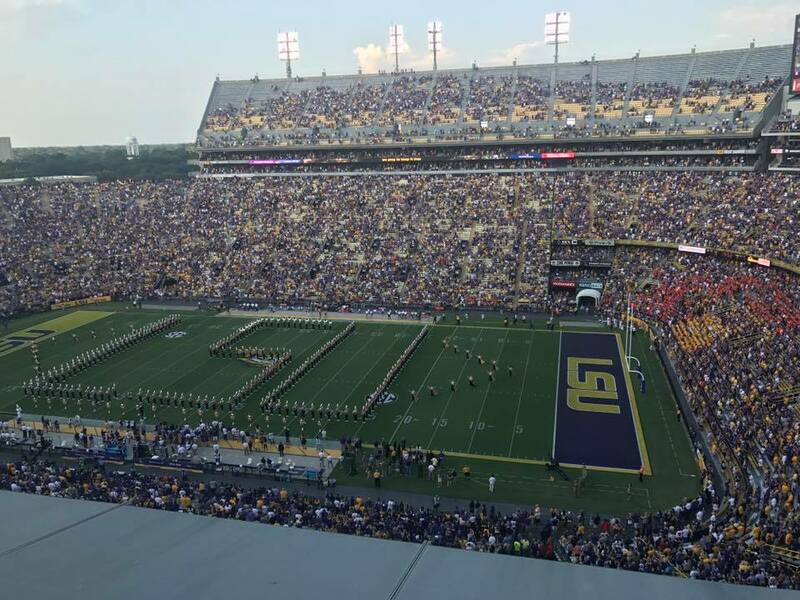 70,727 was the announced attendance for the game. Not bad. 11:00 AM KO, non Power 5 opponent, 1-2 record. But..... but.... you didn't take a picture off your tv..... "fake news". What a joke the stay at home fans are. You wanted it now own it.......they need to just glass in the entire thing so the yuppies won't get sun on them. That was me and the photo was taken at 11:05 of the tv screen from my living room in Texas. And it was a live shot of the stadium at that time because I had to pause it on my DVR. See the time below at the top of the image for the time and location. Thank you for once again proving that Hog fans are delusional though. Another "I wasn't there but crowd sucked" post. 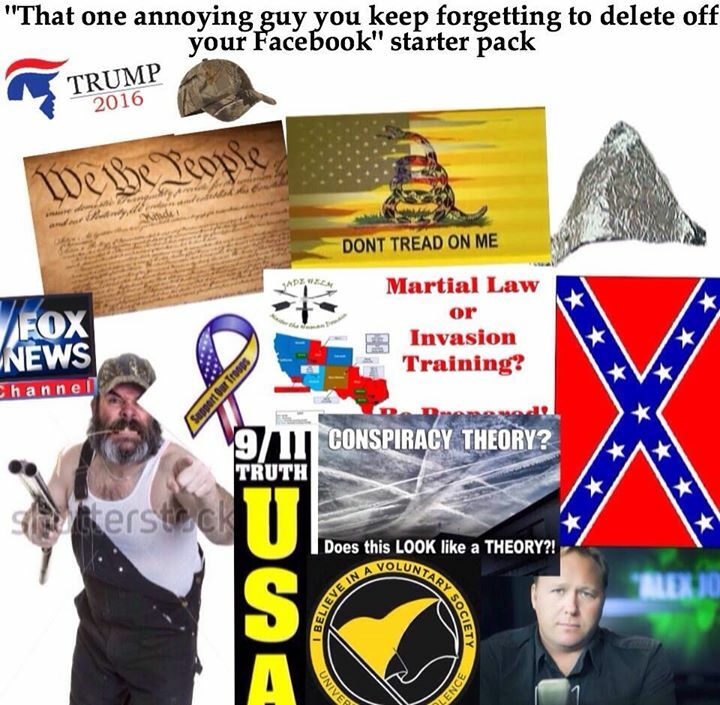 But you found better stuff to do, so you're cool. I think he just labeled himself as "pathetic." At the very least, he contributed to that which he condemned. Was it good for you too, Leo? Man that ball got outta here in a hurry. I took this off of the OxBlue site after I got home from the game. Time was approximately noon. Isn't OxBlue the construction cam? "That dam carpert baggerd jeffie is using dat dam photershup to make the crowd luk biggerz"
60,000 to 62,000 would be a good guess. Not even close. This shot shows just maybe 500 people in the upper east side. Lots of empty seats on the low deck too. More likely 45,000 to 50,000.